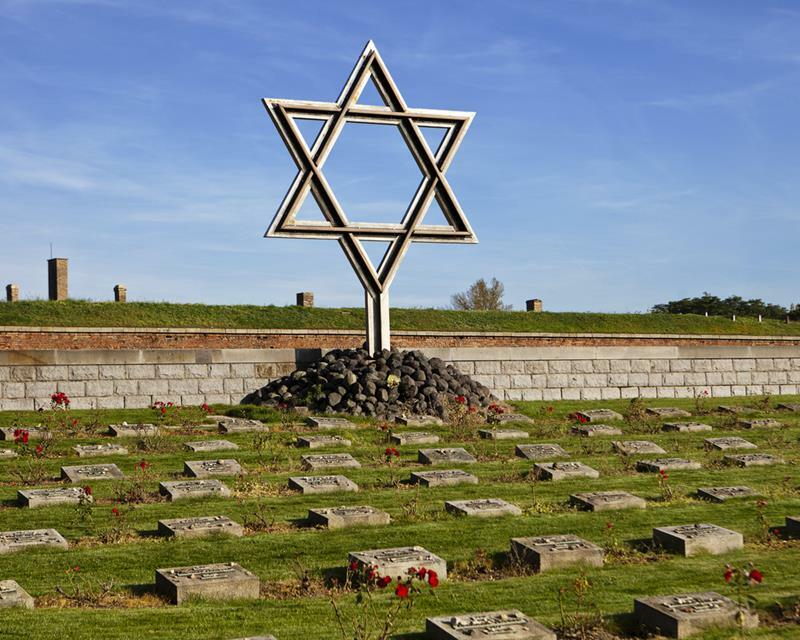 A sleepy countryside town today, Terezín epitomizes one of history’s darkest chapters. 140,000 people were deported here by the Nazis when it served them as a GESTAPO prison, ghetto and concentration camp during the Holocaust. 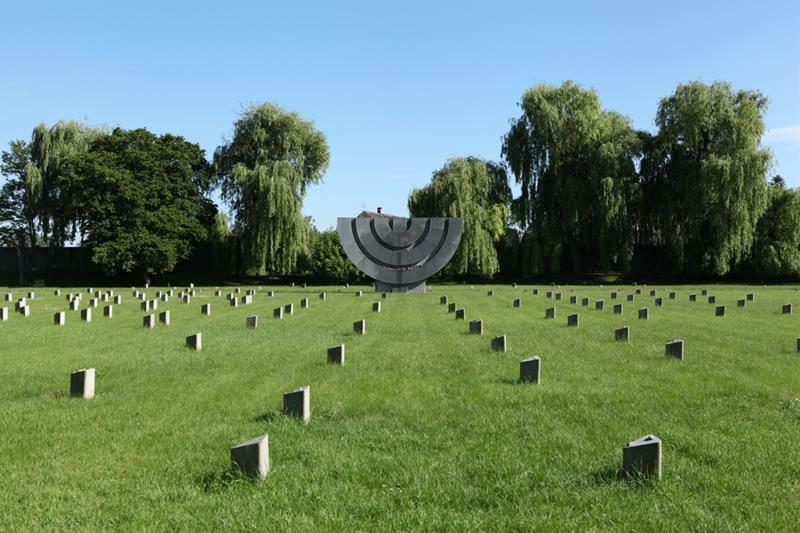 On this day-trip to the former ghetto, concentration camp and gestapo prison just one hour from Prague, we focus on Czech-Jewish history, World War II and the Holocaust. A sleepy town in the Bohemian countryside today, your expert guides will help see through its pretty facade. You will visit Terezín´s monuments, memorials and museums and find hidden traces of its dark past while discussing present-day attitudes towards Terezín. You will learn about its history, from its times as a Habsburg Empire garnison town to the visit of the Red Cross and the story of Friedl Dicker-Brandeis and her children’s paintings. A sobering but essential educational experience shedding light on people’s darkest potential. Remembering what happened then and drawing the right conclusions remains forever crucially important. Central to the Holocaust, more then 33,000 prisoners died here as a result of malnutrition, disease and the sadistic treatment by their captors. For many more it was their last stop before being deported to extermination camps like Auschwitz, Treblinka or Sobibór. This contrasts with prisoners’ courageous resilience. Defying the most dire conditions, people maintained a rich cultural and religious life, held celebrations, even composed and staged operas. Terezín epitomizes the worst aspects of the human spirit but its prisoners left the world striking examples of human potential and the power of compassion. Terezín played a unique double role, in the Nazis’ pursuit of the Final Solution but also their propaganda efforts to conceal the holocaust. By purchasing this tour, you are welcome to join a Free Tour which takes place every day. You will walk to one of the major sights in the Old Town, New Town and Jewish Quarter, the oldest parts of Prague, and you will learn bit more about city and Czech culture. You will get the free tour schedule after the payment. In 1947, the National Suffering Memorial was opened on the site of suffering of thousands. Later it was re-named to Terezín Memorial. Terezín is a fortress built by the ruler Josef II in the 18th century, located in the North Bohemia. It was named after his mother, Maria Theresa. The original purpose of the fortress was to secure the bridges across the Ohře and Labe rivers against the Prussian troops. Ironically, it became a prison and during the World World II a Jewish ghetto and a concentration camp. The Prague Gestapo police prison was set up in the Small Fortress in 1940. Over the two year period the camp (Big Fortress) was re-built to hold a massive capacity of over 150 000 prisoners, mainly Jews from Czechoslovakia as well as Germany and Austria. Although not primarily death camp, thousands of people died there because of the poor hygienic conditions and thousands of Jews were sent to Auschwitz and other "work camps" in Europe where the death was almost inevitable. The camp and prison were liberated in May 1945 by the Soviet Army. It is said only around 17 000 Jews survived the Terezín concentration camp. After the war, the camp was used as an internment camp for ethnic Germans. It was closed in 1948. It show us that even at times of despair, prisoners would find their way to express themselves through art (performing plays watched even by the Nazi, classical music concerts, etc). You will learn that at these awful times facing death on daily basis, they still kept strong will to live and love. Adam was a great guide. He was very knowledgeable, and knew how to keep your interest. I highly recommend him as a guide. I think you need to be a bit more descriptive about what the trip entails, especially around the walking and the train. It might even be better to actually meet at the train station. I must admit I was expecting a coach journey. A most moving and emotional experience. I cannot say I enjoyed my visit because enjoyment is not what it is all about, but I can say that when you leave this Camp words cannot describe the daily life, horrors and abuses these people went through. Everybody should visit Terezin to realise what happened here and it should be made compulsory that all school children visit. Our Guide, Gizzi, was the best. So knowledgeable and so clear to understand and he answered all our questions on the cruel facts. The Terezín tour was a highlight of our trip to Prague. It was extremely informative and moving and our tour guide, Givvy (excuse the spelling), was outstanding. His knowledge of Czech, WWII, and concentration camp history was impressive and he presented his insights and information in a way that was interesting and easy to absorb. The Terezín tour gave us a small glimpse into the prevailing themes and atrocities that were apart of war and Nazi rule. It left a lasting impression on us and we would wholeheartedly recommend it.